Jane Atieno ‘Sonko’ pictured right foreground, was as a shy and introverted 17 year old when she was spotted by Alfred Analo ‘Priest’, Boxgirls founder. Priest said he could see a champion in her and invited her to join Boxgirls. Now at 23, Sonko plays a leadership role at boxgirls. 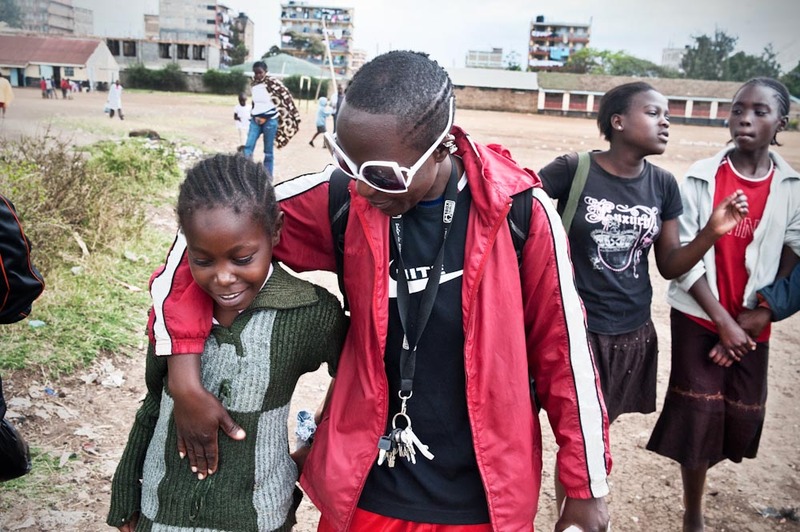 She lives in Nairobi’s Eastlands slum area and trains and mentors the younger girls every day. Starting off with just 20 girls in 2008, the Boxgirls programme now has 650 girls enrolled.